Bodhi News & Analysis - Global wealth inequality | Denuclearisation campaign | Turkey's Constitutional Referendum - 19 Apr. 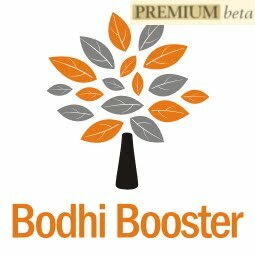 Welcome to Bodhi News for 19 April, 2017 - from Bodhi Booster knowledge portal! 1. Persons and personalities – Government’s efforts to bring Vijay Mallya to justice for defaulting on bank loans over Rs. 9,000 crore bore fruits when he was arrested by the Scotland Yard in London and produced before a court, which granted him conditional bail. Meanwhile, UK accepted India’s request to help extradite the absconding tycoon. The raging NPAs problem in Indian banking makes this an emotive issue. Read more on NPAs here. 2. Environment and ecology – With the prospects of an El-Nino setting in during July-August 2017 being slender, the prospects of a normal monsoon this year have brightened. That is some good news, not only for the farmers but for the economy as a whole. According to IMD officials, there's a 40% chance of El Nino developing by July-August this year. Read more on environment related issues here, and on agriculture related issues, here. 3. World politics – US President Donald Trump signed an executive order that calls for a review of the H1-B visa programme. He said they shall never be used to replace American workers and must be given to the most skilled and highest paid applicants. H1-B visa is very popular among Indian IT companies. The order sets in motion first steps to initiate reforms to end, what Trump calls as visa abuse. The bad news is that after Singapore and the UK, even Australia has tightened the screws on skilled tech immigrants. Read more on related issues here. 4. World politics – Amidst stricter rules for American H1-B visas in the offing, there is some more bad news for Indian IT companies. Australian Prime Minister Malcolm Turnbull announced that he was scrapping the Australian “457” visa programme that allowed Australian companies to hire Indian personnel in a number of skilled jobs. The programme would be replaced by a more stringent system. Read more on Australia related issues here. 5. World politics – British Prime Minister Theresa May, who has just a fragile majority of just 17 in the House of Commons, has, in a surprise move, announced snap general election for June 8, claiming that divisions at Westminster risked hampering the Brexit negotiations. The Prime Minister will require the support of two-thirds of MPs to go to the country. Read more on Brexit here. 6. Indian economy – The Reserve Bank of India (RBI) has raised a red flag over banks’ exposure to the telecom sector and asked banks to increase their standard asset provisioning to more than the prescribed to build necessary resilience. According to the circular issued by the RBI, the telecom sector reported stressed financial conditions and the interest coverage ratio for the sector is less than one. Read more on RBI related issues about here. 7. Constitution and law – The Supreme Court, in its judgment on the CBI appeal against the dropping of criminal conspiracy charges against prominent BJP leaders including L K Advani, Murli Manohar Joshi and others in the 1992 Babri Masjid demolition case, restored the charges against these leaders. A special court had in May 2001 dropped the criminal conspiracy charges against Mr. Advani and top BJP and Sangh Parivar leaders. Read more on Supreme Court related matters, here. 8. Constitution and law – The Law Commission is examining a recent judgment delivered by Kerala High Court on the issue of Triple Talaq that explicitly called for legislative reforms to mitigate sufferings of Muslim women. Delivered by a Muslim judge, the judgment strongly repudiates the practice of triple talaq and underlines the need for law-makers to ensure just treatment to Muslim women. 9. Defence and military – Security forces in Kashmir valley, criticized for using force against civilians, have now been provided with plastic bullets instead of pallet guns for crowd control. Using plastic bullets is drawn from UN peacekeeping standards for crowd control. The new methodology is to have a non-penetrative mechanism in the trouble-torn valley. Read more on Kashmir related issues, here. 10. World politics – In what could be a big jolt to China’s most ambitious and important diplomatic event of the year, most major western leaders to skip China’s New Silk Road Summit next month. Only one leader of a big Western country is attending the summit. President Xi has championed what China calls “One Belt, One Road (OBOR)” initiative to build a new silk road linking Asia, Africa and Europe. 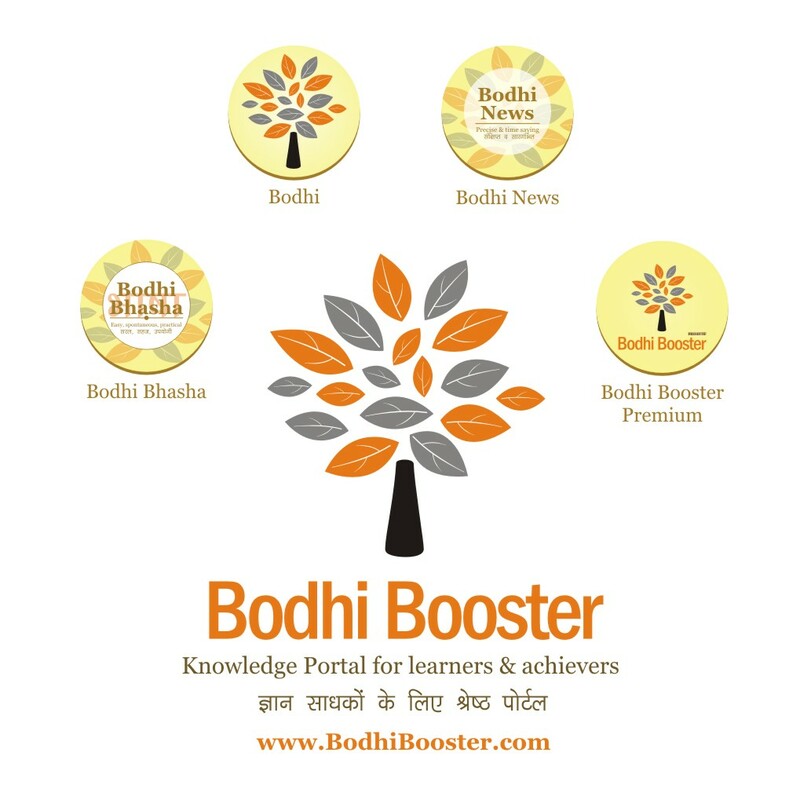 Read all about OBOR here. 11. Indian economy – The World Bank in its report “South Asia Economic Focus – Globalization backlash” has said that demonetization in India caused an immediate temporary cash crunch hurting economic growth. But this note ban could accelerate financial deepening, foster financial inclusion and increase transparency. It would, thus, have a positive development impact in the long term, the report said. 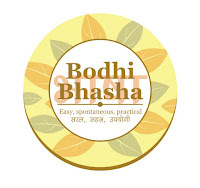 Read all about DeMo in our Bodhis here. 12. Companies, products, services – In yet another blow to the Sahara group, the Supreme Court ordered the auction of its prime property Aamby Valley township near Lonavala, Maharashtra for failing to deposit Rs. 5000 crore of the Rs. 14,000 crore due towards refund to investors. The Sahara controversy started in 2012 when the SC pulled it up in a case filed by SEBI. 13. World politics – The US asked Pakistan to ‘confront’ terror in all its forms. America’s National Security Advisor H R McMaster, who arrived in Islamabad during an unannounced visit, held talks with top Pakistani political and military leaders including PM Nawaz Sharif and army chief General Qamar Jawed Bajwa. Situation in south Asia has gone from bad to worse over the past few years, and China’s constant meddling in this region has complicated it further. You can read all about it here, here and here. 14. World politics – US Vice President Mike Pence, who visited the Demilitarized zone between the two Koreas, warned North Korea not to test President Trump’s resolve. He further said the US expects to achieve the objective of North Korea’s denuclearization through peaceful means, but all options were open in curbing its missile and nuclear weapons programme. Read more about related issues here. 15. Regional politics – Pakistan’s army once again ruled out consular access to Indian National Kulbhushan Jadhav after India made a strong case for the access to the Indian prisoner who was awarded death sentence by the Field General Court Marshall. The army said consular access cannot be granted under the law, and that all legal requirements were fulfilled during his trial. 16. Constitution and law – The CBI lodged FIR against 12 Trinamool Congress leaders including state ministers and MPs in the Narada sting case under the Prevention of Corruption Act and Section 120B of the Indian Penal Code. The sting tapes revealed visuals of money changing hands. The Trinamool Congress said the move was politically motivated. 17. Society and culture – In a major step to break the nexus between pharmaceutical companies and doctors, PM Narendra Modi said that the government would put a legal framework in place to ensure doctors prescribe low cost generic medicines to patients. According to experts, 70% of over Rs. 1 lakh crore domestic pharmaceutical market is dominated by branded generics whereas patented medicines make up only 9%. 18. World politics – North Korea has accused the US of turning the Korean peninsula into the world’s biggest hotspot and creating a dangerous situation in which a nuclear war may break out at any moment. North Korea also said it was ready for a military action by the US. North Korea conducted two nuclear tests and 24 ballistic missile tests last year. 19. Indian economy – The government had reiterated that the GST rate for an item will be the one that is nearest to the current rate. To minimize the rate shocks, the GST Council has decided to reduce the nominal tax rates for a vast majority of goods. Half of the items in the Consumer Price Index (CPI) basket will be exempt from GST and another tenth will be taxed at the lowest rate of 5%. Read everything about the GST here and here. 20. World politics – President Trump will sign an executive order directing federal agencies to recommend changes to a temporary visa programme used to bring foreign workers to the US to fill high-skilled jobs. Trump will also use the ‘buy American and hire American’ order to seek changes in government procurement to increase purchase of American products in federal contracts. 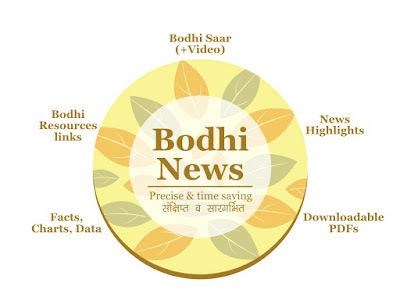 Bodhi News: Bodhi News & Analysis - Global wealth inequality | Denuclearisation campaign | Turkey's Constitutional Referendum - 19 Apr.